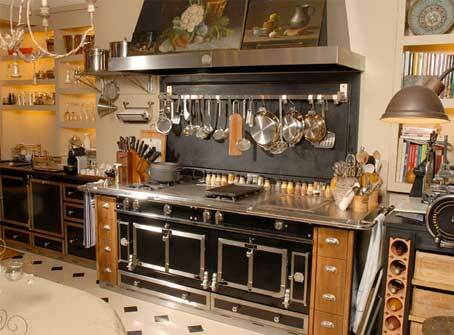 La Cornue is a French luxury appliance brand known for manufacturing very high-quality ranges. They are very customizable, and each part is hand made. You can not find more luxurious and stylish range anywhere. Our company does La Cornue appliance repair. 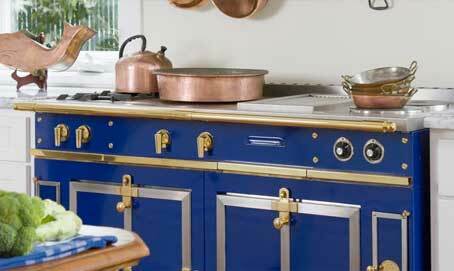 We repair all models of La Cornue appliances including its famous Château Series, Grand Palais 180 and CornuFé Series. Our technicians are factory trained and certified. They have all the skills and knowledge nesasasry to repair and maintain this unique brand of appliances. We can find genuine La Cornue parts for you and professionally install them. We specialize in high quality, high ticket price, European and custom appliances such as La Cornue. Besides considerable expertise, we also offer first class customer service to our clients. Our team is always polite, respectful and ready to help. We will answer all of your questions and offer you the best solution possible to your appliance problem. We have flexible scheduling available and work in the afternoon or on the weekend if necessary. Our clients always get a accurate estimate and FREE service call with every repair job. We also offer you 3 yearwarranty on all the parts we install. You can not find a more professional and skilled repair service at such a fair and reasonable price. Give us a call for your La Cornue range repair! We strive to do an excellent job every time and to keep our clients totally satisfied! We are true professionals when it comes to custom and European appliances such as La Cornue. Our company Top Home Appliance Repair has been in business for more than 30 years. We are family owned, and family managed the company. We serve Los Angeles, Ventura County, Marin County and East Bay. Our company does all the repairs and maintenance on all major home appliances such as refrigerators, dishwashers, washers, dryers, stoves and ranges, ovens, steam ovens, microwaves, freezers, ice makers, BBQs, pizza ovens, patio heaters and much more. We do both residential appliance repair and commercial appliance repair. We are a go-to company for fast and convenient appliance repair service! For La Cornue appliance repair give us a call or fill out our short contact form. We will give you a FREE and accurate quote on your appliance and schedule a convenient appointment for you. Our appliance rpeair specilist will preorder parts for you La Cornue range. He will come to your house right on time. We always bring all the tools, equipment, and parts with us to every job. Once our tech is there, he will immediately start diagnostics and implementation of his plan. Usually, this involves cleaning out the mechanism, replacing the parts, etc. We work fast because we know what we are doing! After the job is done, our tech will clean up after himself and dispose of old parts. He will plug in your range and check the gas connection. You can never be too safe when working with gas appliances. We will make sure your range is totally fixed and fully functional before we turn it in. You will be more than happy with the results La Cornue range will be working better than ever. We simply do great work when it comes to La Coappliancelaice repair. Our company has the experience and resources to deal with this complex and upscale brand of appliances. But more importantly our team is very technically savvy and detail oriented. They know everything there is to know about La Cornue brand. We promise you that you will be happy with our work and satisfied with the whole appliance repair experience. For La Cornue appliance repair, please call us at 925-265-7782 in East Bay or 628-214-0064 in Marin County. Or you can fill out our short contact form. We would love to talk to you and answer all of your questions. Besides La Cornue appliance repair are also certified to repair Asko, Bertazonni, Bosch, Dacor, DCS, Electrolux, Fisher&Paykel, Frigidaire, Jenn-Air, KitchenAid, LG, Liebherr, Marvel, Miele, Perlick, Samsung, Siemens, Sub-Zero, Thermador, Traulsen, True, Viking, Whirlpool, Wolf. La Cornue is a French luxury appliance brand known for manufacturing very high-quality ranges. They are very customizable, and each part is hand made. You can not find more luxurious and stylish range anywhere.